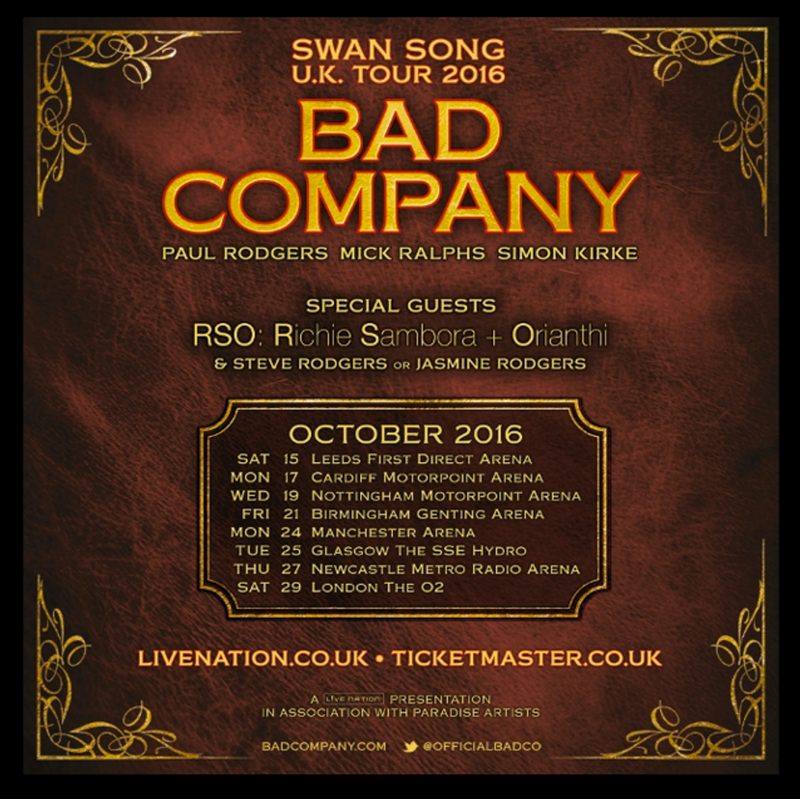 Bad Company will return to the UK for their first tour in four years this fall on their ‘Swan Song’ tour. 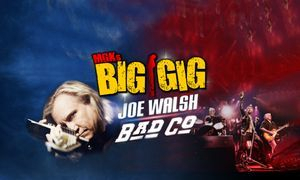 Original Bad Company members Paul Rodgers, Mick Ralphs and Simon Kirke will hit eight UK cities in October including Leeds, Cardiff, Nottingham, Birmingham, Manchester, Glasgow, Newcastle and London. 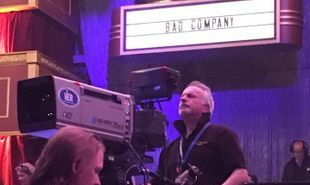 "Returning to the UK with Bad Company where it all began 40 plus years ago is full circle for the band and the fans. 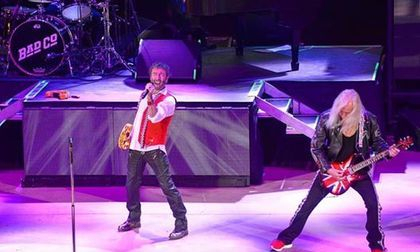 It’s always a pleasure to play in the UK," remarked Paul Rodgers. “So looking forward to be playing in the UK for all our great fans-- gonna be great!" Mick Ralphs added. “The British fans are special and we're going to give them a treat. There's nothing like playing in my home country...” Simon Kirke added. Special guests Richie Sambora + orianthi (RSO) will open every show along withSteve Rodgers or Jasmine Rodgers Music as the first act. One Hell Of A Night Tour Red Rocks Co.
“One Hell Of a night” for sure. Red Rocks is one of Colorado's best venues, for any concert. For me it wasn’t just any concert, but a Bad co. and Joe Walsh concert. “Whoohoo” A brief patch of ran, gave to a nice cool down after the long hike to get into the park. With a glass of wine, my sister and I were off to mingle and see the show. Our sets, row 15, were nice and gave us the perfect view of the stage. The venue was packed with chatting people and growing excitement. Excitement that spilled over in the form of stories of past shows that was exchanged about as people gathered with us at the smoking section. (#Colorado,LOL,all smiles, as Joy filled the air, LOL). Never did the excitement die down, not even during the set change. Which was something I was thankful for, as it gave me time to cool down, and mingle a little bit more with the fans. I love Red Rocks, there must be something in the air, place is always filled with good people. As we returned, the stage grew dark, fueling the roars of the crowd as Bad Company hit the stage.The fabulous Paul Rodgers, Mick Ralphs, Simon Kirke on drums, along with Howard Leese from Heart on guitar. OMG it was almost like wave washed over the crowd and before you knew it, everyone jumped to there feet, and began to sing and dance in aisles to spectacular hits, like “Feel Like Makin’ Love”. “Ready for love” and “Rock n roll fantasy”. As we partied, the sky began to bubble up with rain, I would call it sprinkles. Definitely not enough to stop the show, just enough to cool the patrons down. It seemed that even the band cooled down as they broke their classic rock style, and all 4 played a beautiful acoustic version of my FAVORITE song “Seagull” Loved it, #BRAVO ! It was one hell of a nights party, I ran the Rocks, dancing, singing and partying with new acquaintances taking plenty of pictures along the way. It was “One Hell Of A Night’, “One Hell Of A Party” and most of all a once in a lifetime memory that I’ll never forget . 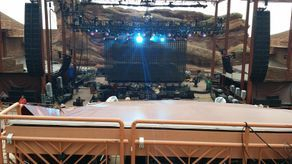 Concert Review I have attended many concerts over the years at various venues but Red Rocks never ceases to amaze me. Spectacular beauty in a mostly natural setting it is ranked as one of the best venues in the world. On Sunday May 15, 2016 two legends of rock and roll took the stage at Red Rocks and treated fans to an incredible evening of classic rock and roll. Those bands were Joe Walsh and Bad Company. I was very lucky to be attending this show as I honestly could not afford it. Thanks to the kindness of Lucy Piller I was able to go! 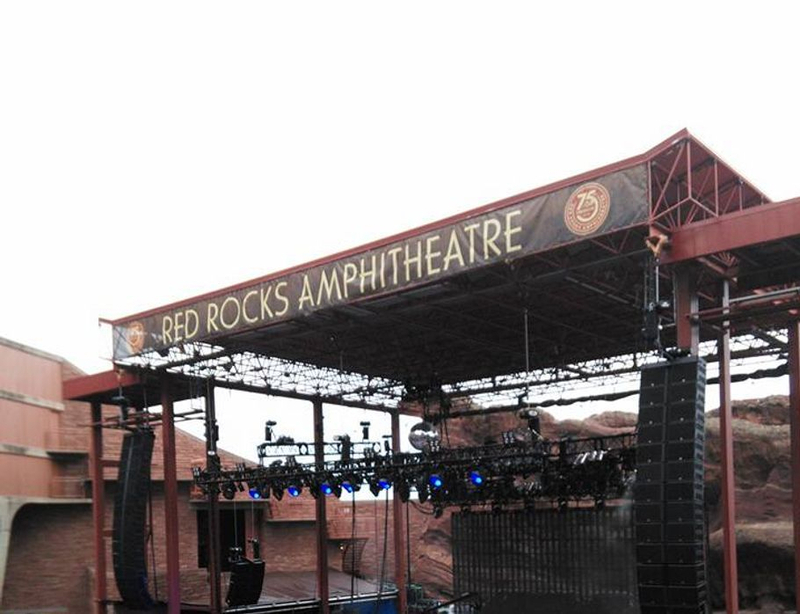 Arriving at the venue I stopped by will call (and although I have attended Red Rocks many times this was my first time on the will call list) and picked up my ticket, eighteenth row! 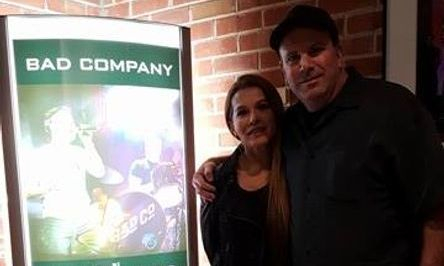 Before the show started my friend Anthony came up and he hooked me up with a meet and greet for Bad Co. It was amazing being in the back stage area at Red Rocks (this was a first for me) and I was a bit overwhelmed as I was standing in line to meet rock and roll legends. Over the years I’ve met many rock stars but this was Bad Company! After what seemed like a long wait we were escorted to the room where the band was. I was in awe and I walked in and shook hands with the guys who were all so friendly. Shaking hands with Paul Rodgers was surreal! After our pictures we were headed back to our seats. It had been lightly raining but when Joe Walsh hit the stage it had cleared up. Joe was wonderful as always. 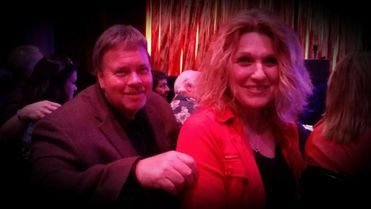 Playing songs from the Eagles, The James Gang, and his solo career he took us on a trip though time that was wonderful. His set included Take It To The Limit which he dedicated to Glenn Fry. Finishing his set with Rocky Mountain Way Joe had everyone on their feet. After a short break Bad Company took the stage. I was amazed at the sound quality. Of course the acoustics at Red Rocks are amazing but when you have a band as talented as Bad Co it’s an incredible experience! There were a few songs in the set I didn’t recognize. Although Bad Co is a favorite of mine I’ve forgotten some of their wonderful music. The expected hits were in the set including Feel Like Makin Love, Bad Company, Runnin With the Pack, and Ready For Love. When the music is so good it just takes you away and becomes so special. The talent in this band is simply mind blowing! I was also amazed at the energy the guys have. Paul Rodger’s voice is one of the best in rock and roll and he proved that beyond any shadow of a doubt. Of all the shows I have seen I’d have to rank this one up their as one of the best! 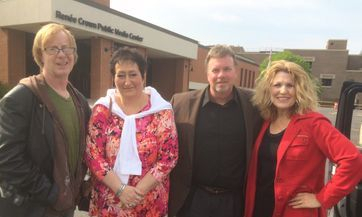 My sincere thanks to Lucy Piller, Lucky Loyd, and Anthony Langston for making this wonderful evening possible. Also thanks to my friends Larry and Gary for letting me ride with them. This was a concert experience I will always treasure! That was the best time for so many reasons. The total experience was incredible from start to finish! Sharing the music that I love with my wife and friends in a unique concert venue is beyond words. There was so much joy in that room. An incredible vibe in the audience waiting for the band to start. When Bad Company hit the stage and Paul started singing his first note you knew it would be a special night. His voice was clear and strong. The band was tight with Simon beating on those drums so hard we thought they would break. Howard Leese, Rich Robinson on guitar and Todd Ronning on bass were on fire! The stage setting at the Grainger Studio was fantastic with multi color spot lights and cameras filming the whole concert. We cannot wait for the concert to be aired and to get a copy to enjoy with the family. 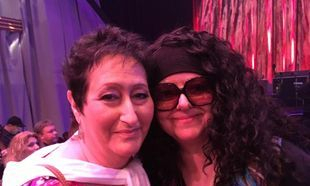 It was so nice to hang with Lucy Piller and get into all kinds of trouble! One the best memories and concert experiences that I have ever had and left with much joy in my heart. This was a musical gift from Bad Company to their fans. Lucy did a fantastic job promoting the event and uniting the fans for a once in a life time experience ! Feel free to send in your own reviews asap regarding that special night of music !!!!!!!!!!! There was an excitement in the air unlike any other concert I have ever attended. People were smiling and speaking excitedly, and my heart was beating so fast just waiting in line. There was this hush that you never see at a concert when the door opened and the line began to file inside. The thing that amazed me first was how intimate the show was going to be. It was smaller than many of the local venues I have played here in Minneapolis. The room was an acoustic paradise. You could tell just from the noise of the people talking inside, that there was nether too much echo nor was it too dry. We were going to be in for a sonic treat. The television cameras were everywhere and the stage and sound crew were busy testing levels and getting ready. Lots of tech people rushing about with a sense of urgency. I was seated directily center front; 3 rows away from the stage. I was giddy with delight. 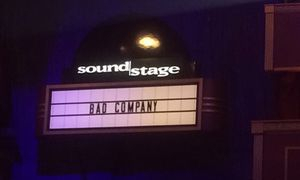 I am in a nationally touring BAD COMPANY tribute band called MADD COMPANY, and although I HAVE seen Bad Company perform several different times, I had never had the opportunity to see or FEEL the performance as intimately as this, and I was NOT going to be disappointed. I was about to be schooled, and I was looking forward to it. When they dimmed the lights and Paul Rodgers busted onstage, every person in the house flew to their feet and stood showing their very loud appreciation. The noise was deafening. They cheered well past the intro and into the first verse of the song. They NEVER SAT DOWN AGAIN. 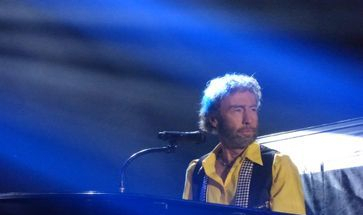 Paul Rodgers now OWNED the stage. Simon Kirke was breathing fire into every kick. As a special treat the multi-instrumentalist also played acoustic guitar during “Seagull” that was quite good and the people loved it. He was also very gracious, and real. The rest of the band was tight and was great to watch. I took lots of mental performance notes. These guys know how to entertain. These guys are rock gods. Paul was in superb voice and looked incredible. I studied him intently. I watched as he endeared himself to a room full of total strangers with a gregarious smile that was so sincere. I felt appreciated as he embraced us with the dynamics of his delivery and the graciousness of his “thank you”, when the room went delirious after his performances. I was amazed by the way he could touch your very heart with a nod and a smile that your know was authentic. He sounds better than ever. He is the ultimate showman that never feels the need to be garish. He is the consummate pro, the ultimate entertainer. “I didn’t want it to be over. It ended way too soon !" 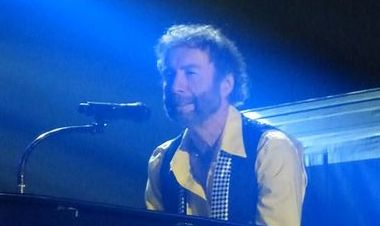 Paul Rodgers/Bad Company continues to prove that talent, class, dreams and hard work will bring timeless rewards. Thank you so much for the inspiration. March 17, 2016 – Bad Company will have a new guest guitarist with them for their upcoming summer tour: Rich Robinson. As the co-founding member of The Black Crowes, Rich has released three solo albums; his most recent one being The Ceaseless Sight in 2014. “I'm excited to be joining Bad Company as their special guest on tour this summer, Rich Robinson remarked. and beyond--and Simon Kirke is one of my all time favorite drummers. To be able to play with Paul and Simon is such an honor. Rodgers’ former band mate in The Firm – Jimmy Page. - Stay Tuned for any updates !!!!!!! To select the VIP packages Click the menu bar marked "Special Offers" deselect all boxes and select the VIP package that you want. The page will search for those tickets. Individual photo opportunity with members of Bad Company! * Ticket location may vary by venue. See specific date for details.